If you are looking for some retro chrome kitchen ware, I have a nice assortment at my booth in the Almonte Antique Market, Almonte, ON. 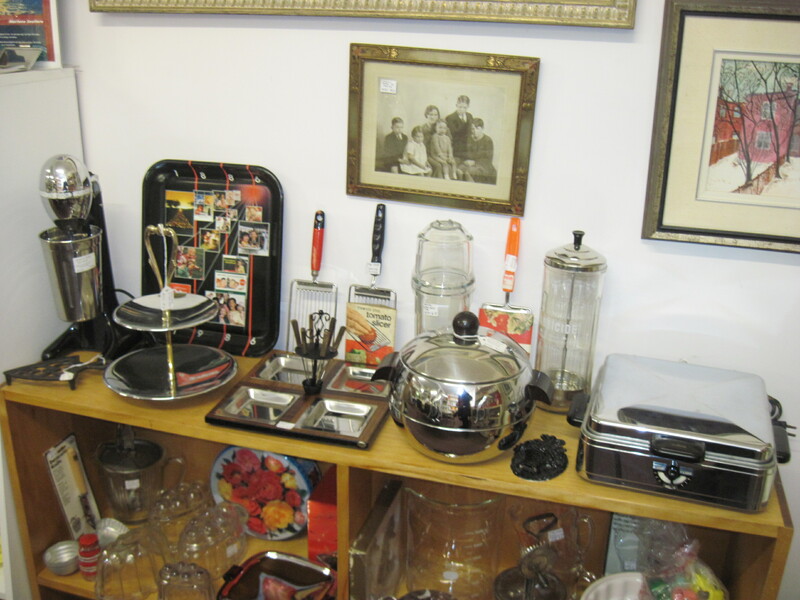 There is a Westbend Penguin Hot/Cold Server or Ice Bucket with bakelite handles, an Hors d’oeuvres tray with stainless steel inserts on a teak tray with teak handled forks, a two tiered chrome serving tray and retro black and chrome Hamilton Beach Milk Shake Maker. Serve up some drinks on a 1980’s retro Coke tray. Please note all the items pictured here are now SOLD! !